Tommy Overstreet, best known for his hit “Ann (Don’t Go Runnin’),” has died at his home in Hillsboro, Oregon. The countrypolitan singer, who amassed a total of five Top 5 singles and eleven Top 10 singles over his career, passed away on Monday morning (11-2). He was 78-years-old. Known as “T.O.” by many fans, he was born on September 10th, 1937 in Oklahoma City, Oklahoma, but grew up primarily in Houston and Abilene in Texas. His cousin was Gene Austin, a popular singer of the 20’s and 30’s. At the age of 17, Tommy began performing on a television show hosted by Slim Willet in Abilene, and later started a group called The Shadows. Eventually Overstreet moved to Austin to study broadcasting, and would perform under the name “Tommy Dean From Abilene.” He also toured with Gene Austin for a period. Tommy was in the army briefly before moving to Los Angeles to become a songwriter and contributing material to Pat Boone. But it was when Overstreet was hired as the manager of Dot records in 1967 that his career began to take off. After three years at the label, Tommy decided he wanted to become a recording artist himself, and began releasing singles. A natural crooner, his music became popular in the early 70’s, regularly finding its way into the charts, but never reaching #1. “Ann (Don’t Go Runnin'” got close in 1972 when it came in at #2 on the charts. The song did reach #1 in Canada. By 1979 Tommy’s commercial era began to fade, but he continued to record music all the way into the mid 80’s. Dot Records is still around today, and was resurrected in 2014 by the Big Machine Label Group. Overstreet was also a frequent performer on Hee-Haw, and appeared on The Midnight Special as well. 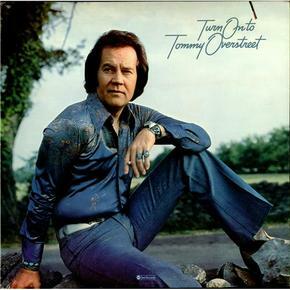 A well-known favorite among many classic country fans, Tommy Overstreet became one of the very first performers to move to Branson, Missouri to help set up the town’s country music scene for aging artists edged out by Nashville. He moved to Hillsboro, Oregon later in life, just north and west of Portland, where he passed away. Mickey Newbury lived in Springfield, Oregon, too, until his death in ’02. You might poke around, never know who’s out there among the big trees. I have always been a fan, RIP. My favorite album of his is Better Me, from around ’78. I just recently copied it to mp3 format for road trips. He was never one of the big ones, but still had several hits. Kind of like a lesser known Don Williams. Happy Trails, T.O. R.I.P ,My mom loves him and it is sad what Nashville does to its aging artists.It really is a revolving door .I always assumed with the buying public being more of age,country music would be the one place that would respect and honor its more senior members. Check out the “Old Dogs” “Nashville Is Rough On The Living”–by Shel Silverstein, I believe–for a “discussion” of that! Sorry to hear of his passing, I always enjoyed his singing.